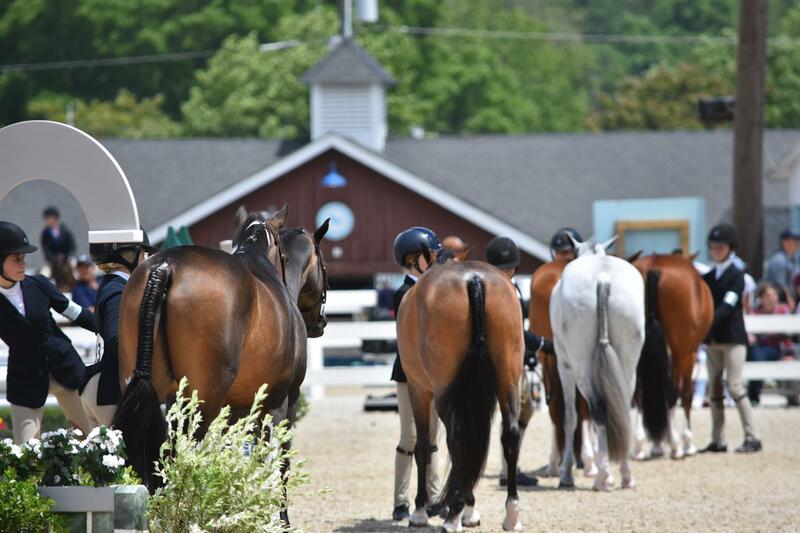 This article originally appeared in EQUUS magazine, a media partner of US Equestrian. Any horse will cough occasionally, particularly if he catches a noseful of dusty air or gets a bit of debris in his airway while he’s eating or drinking. That’s just a normal sign of a healthy airway keeping itself clean. Sometimes, however, coughing is an early sign of illness or that your horse is developing an inflammatory condition, such as heaves, that will respond better when treated promptly. 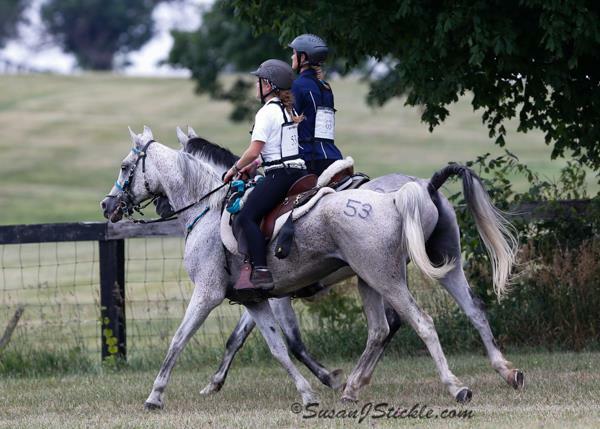 And in some circumstances—such as just after coming out of a trailer after a long ride—even a single cough or two may signal a life-threatening infection that requires immediate veterinary care. aspiration pneumonia—type of pneumonia that develops when foreign material is drawn into the lungs. inflammatory airway disease (IAD)—a little-understood condition commonly found in young racehorses and performance horses who periodically perform poorly, with or without coughing. Excess mucus and inflammatory cells are usually found during endoscopic examinations of such horses; also called “small airway disease” (SAD). influenza—very contagious, acute viral infection involving the respiratory tract. Marked by inflammation of the nasal mucosa, the pharynx, the conjunctiva, the lungs and sometimes the heart muscle, equine influenza is often associated with high fever, lack of appetite and the development of limb edema (stocking up). pleuropneumonia—bacterial infection of the lungs as well as the pleural lining between the lungs and the chest wall. pneumonia—inflammation of the lungs, especially the tissues as contrasted to the air passages (bronchitis). recurrent airway obstruction (RAO, “heaves”)—respiratory disease, usually of mature horses, induced by exposure to dusts typically found in stables. The disease is recurrent, depending on environmental exposure. rhinopneumonitis—highly contagious disease caused by herpesviruses (EHV-1, EHV-4); characterized by fever, mild respiratory infection and, in mares, abortion. In rare cases, some strains of these herpesviruses also cause potentially fatal neurological complications. strangles (distemper)—highly contagious infection of the lymph nodes, usually of the head, caused by Streptococcus equi bacteria. The abscesses may become so large as to obstruct the airway (hence the term “strangles”) and may break internally, draining a thick, yellow pus through the nose, or externally, draining through a spontaneous or surgical opening in the skin. It’s not unusual for a horse to cough some when starting exercise, but frequent or persistent coughs could mean trouble. Photo by SusanJStickle.com. If you suspect your horse has an infection, you’ll want to call the veterinarian and take action to protect the rest of the herd. “If you have reason to think it might be an infection—even if it’s just one horse in the group coughing–you should isolate that horse,” says Buechner-Maxwell. “If there’s a nasal discharge, even if it’s clear, or some swollen lymph nodes when you feel around on the neck, or a mild fever, you should move that horse away from the others.” A coughing horse with a respiratory illness can easily spread it to other herdmates. After moving the horse, be sure to wash up and maybe even change your clothes before handling other horses. 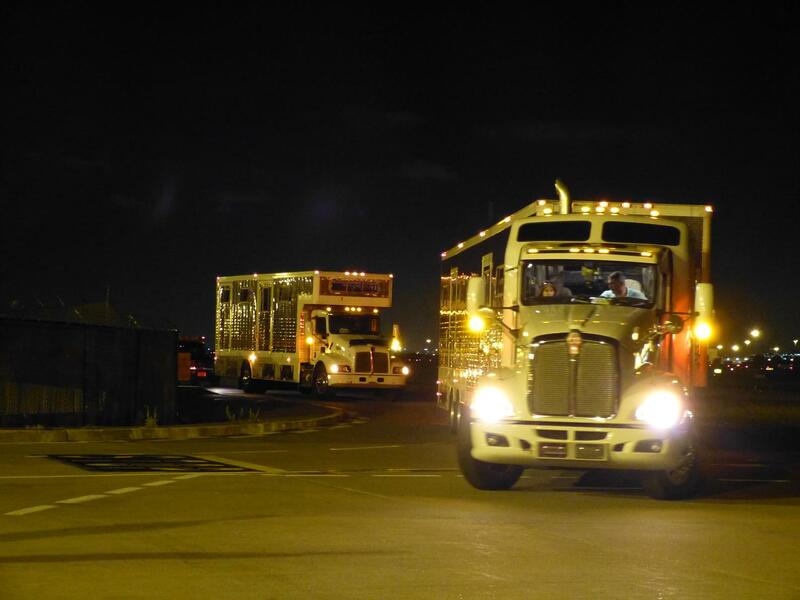 If your horse coughs soon after transport, it could be a sign of shipping fever. Rhodococcus equi pneumonia can cause serious lung infections in foals younger than four months old. The bacterium resides in the soil, and foals acquire the disease by inhaling pathogen-laden dust particles. Mucus captures the bacteria in the respiratory tract, and as the foal coughs it up to the trachea and swallows it, the pathogens pass through his digestive tract and pass out into the soil again with his manure. 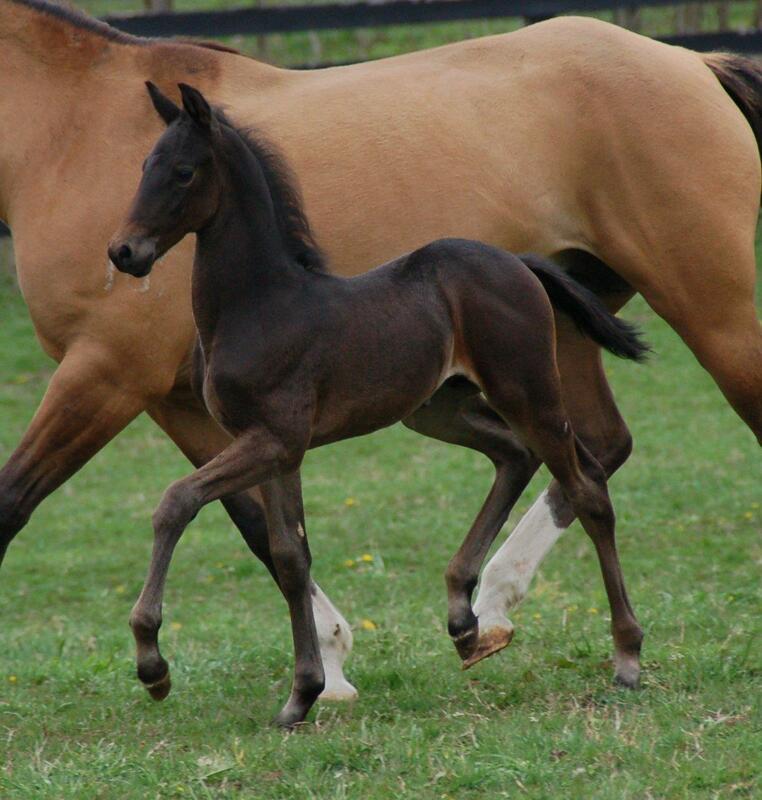 Once R. equi is established in the soil on a farm, it will remain a threat to future generations of foals. An episode of choke—when a mass of chewed food gets stuck in a horse’s esophagus—can produce a prodigious bout of coughing and wretching, along with heavy drooling and discharge from the nostrils that includes bits of food. Fortunately, most cases resolve spontaneously, although your veterinarian may still want to examine the horse to look for potential causes and perhaps suggest management changes to prevent a recurrence. Your veterinarian can also determine if the horse inhaled any food during the choke episode, which would put him at risk for developing a severe lung infection called aspiration pneumonia, which can be life threatening. If your horse does aspirate food material during an episode of choke, initiating immediate broad-spectrum antimicrobial therapy is essential and the only way to reduce the risk of the horse developing pneumonia. If dusty food doesn’t seem to be the problem, the issue could be something physical. “Chewing, moving food to the back of the mouth, and then elevating it with the tongue and coordinating all of this for proper swallowing involves a number of nerves and is a highly coordinated reflex. All of the structures have to work properly for this to happen,” says Buechner-Maxwell. “Anything that interferes with the chewing process and proper movement and flow of food through the mouth may be an issue, with food going down the throat before it’s ready, and some of it getting into the trachea—and the horse having to cough it out.” A horse who is consistently getting feed into his trachea as he eats also is at risk of aspiration pneumonia. Viral respiratory diseases that cause coughing can spread anywhere horses gather, whether at home or at a show. Every horse will cough now and then. Distinguishing the harmless from the problematic can be tricky, but by remaining alert, you’ll be able to notice when it’s time to call for help. Then you will be able to take steps to keep your horse healthy and breathing easy. This article first appeared in EQUUS issue #469, October 2016. It is original content produced by EQUUS and may only be shared via social media. It is not to be repurposed or used on any other website without written permission from EQUUS. This entry was posted in Education, Horse Health on October 28, 2017 by ludlumfarms.